What is the P.E. Premium? The Government is providing additional funding to improve provision of physical education (PE) and sport in primary schools. This funding – provided jointly by the Departments for Education, Health and Culture, Media and Sport – will be allocated to primary school headteachers. This funding is ring-fenced and, therefore, can only be spent on provision of PE and sport in schools. Funding for schools will be calculated by reference to the number of primary-aged pupils (between the ages of 5 and 11), as recorded in the annual schools census. How much has been allocated? Christian Malford C of E Primary School has been allocated £16,760 for the 2018/2019 Academic Year. The funding has been allocated to cover a variety of needs. There is a balance of curricular and extra curricular support, opportunities for children to be involved in a wide range of sports, specialist sports coaches supporting PE lessons to enable staff to develop their skills, and free lunchtime sports clubs for all year groups. A staff questionnaire at the end of the year to assess impact of training on pupil confidence levels and impact on staff levels of sports provision. Report from Grassroots Sports regarding impact on pupil’s participation, confidence, self- esteem. Reports on the progress made by children with specific needs. We were allocated £16,630 for the year 2017/2018. The money was spent on using outside sports providers to run free lunchtime sports clubs to encourage participation from those who do not normally participate in after school clubs. Subsidising after school clubs to increase participation. Outside sports providers took PE lessons, planned in conjunction with the teachers to target specific areas of need in the children and increase teacher’s knowledge in provision of PE. Enabling school participation in inter-schools competition by provision of transport. Giving identified children opportunities for personal development. There was an excellent level of participation in lunchtime clubs with children taking part who would not normally choose to take a sports club. Sports providers reported increased levels of team working and improved sports skills. Attendance at after school clubs increased. Teachers benefitted from support in planning and delivering PE in school. 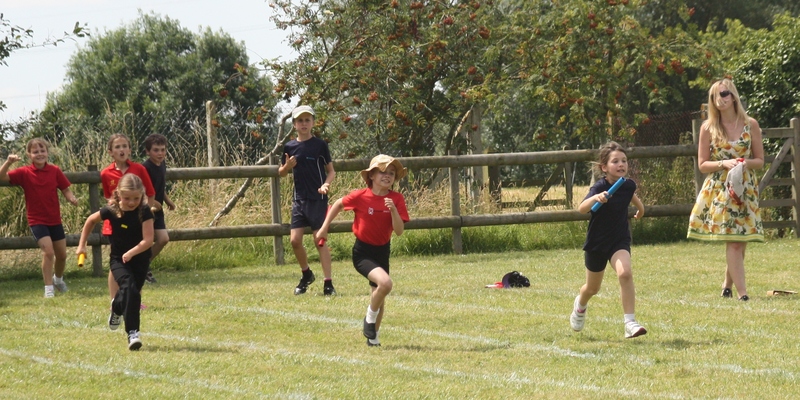 Pupils were able to take part in inter-schools sporting events.